Handshake Hub is the administrative website where you'll receive all inbound orders from the field. 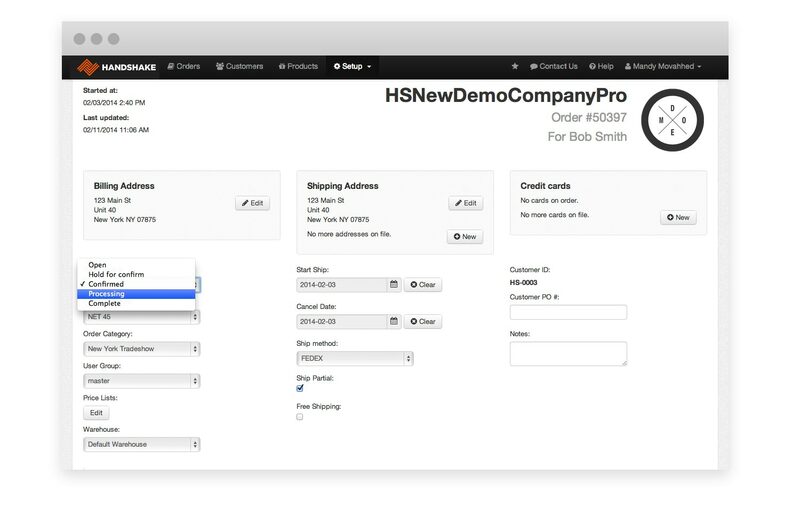 Once an order is written by your sales reps in the field on Handshake Rep, your customer service team can immediately log in to the Handshake website and review, modify or complete the order to start the fulfillment process. Have you started to pick and pack an order? Great! Change the order's status to “Processing” or “Complete” in Handshake Hub and your change will be pushed immediately out to the field, ensuring your reps are fully aware of their customers' order status at all times. Once the order is confirmed, it will no longer be able to be edited. 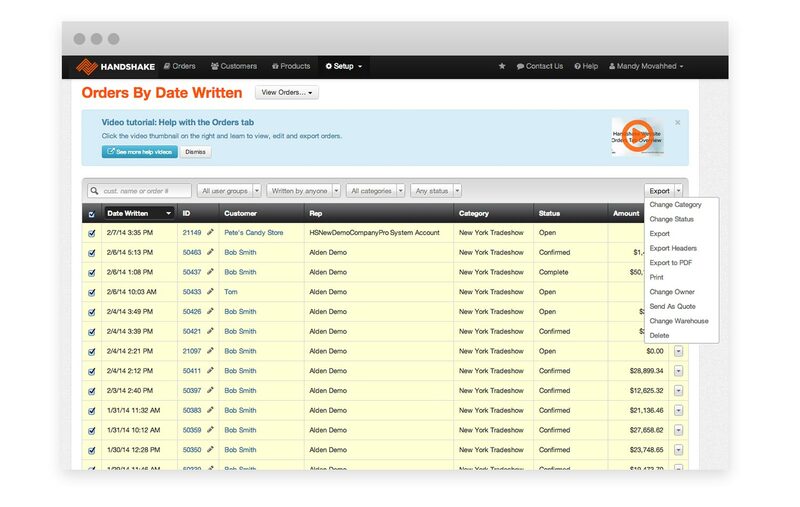 This ensures that you and your sales team are always in sync. Handshake Hub is also where you can export your order lists in a customizable CSV format that you can import directly into your ERP.